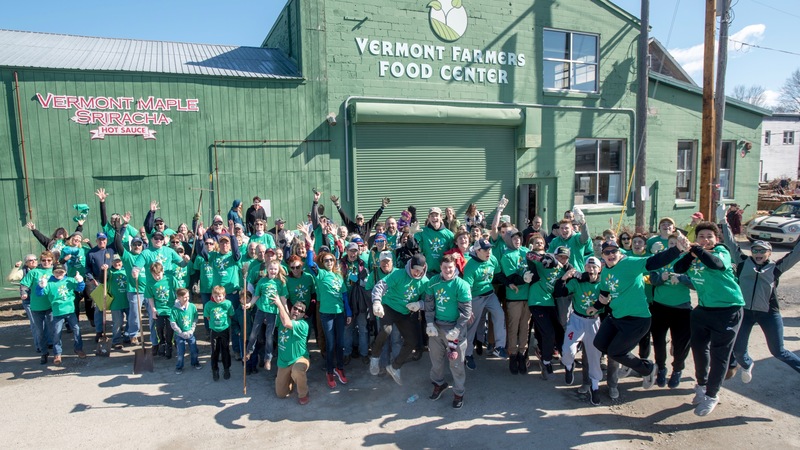 The Comcast Foundation awarded a $4,400 grant to Vermont Farmers Food Center (VFFC) in support of the volunteer involvement there during Comcast Cares Day earlier this year. More than 240 volunteers spent the day landscaping, painting and doing general spring clean-up work at VFFC as part of the 17th annual Comcast Cares Day, which takes place each April during National Volunteer Month and is Comcast NBCUniversal’s signature day of service and the nation’s largest single-day corporate volunteer effort. Volunteers from the Rotary Club of Rutland also joined the effort, in addition to Rutland High School and the United Way of Rutland County, who received smaller grants from the Comcast Foundation in support of their involvement in Comcast Cares Day. 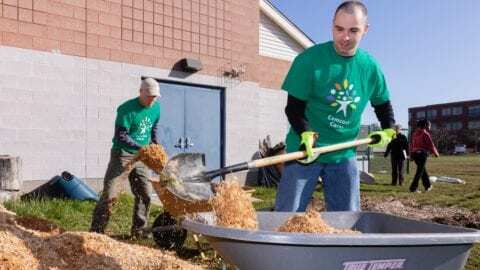 “As a volunteer myself, it was so rewarding to see the many various community organizations working together to benefit this tremendous organization,” observed Paul Savas, Vermont resident and Vice President of Comcast Business, who spent the day working alongside the participants. The mission of VFFC is to increase access and availability of locally produced food by developing the infrastructure, educational programs and markets necessary to grow a vibrant and sustainable regional agricultural system. VFFC is focused on providing healthy and locally grown food to all members of the community, regardless of economic status, thereby also improving the health and economic well-being of the community. VFFC plans to use the funds to underwrite some of the staffing needs for their children’s Farm-Based Experiential Learning program. Comcast NBCUniversal supports the communities it serves by providing access to technology, relevant digital skills and training, and inspiring volunteerism, service, and leadership. Since 2001, Comcast has given more than $5 billion in cash and in-kind contributions to support nonprofit organizations and other charitable partners across the country.